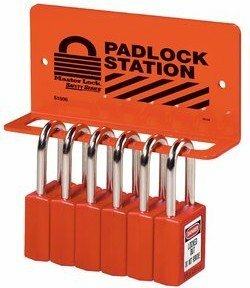 Padlock Stations are durable storage stations that come in various sizes and shapes, holding your safety padlocks. 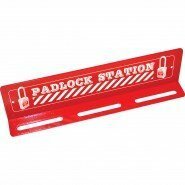 Padlock Stations are supplied unfilled but can be supplied with contents upon request. Padlock Stations are wall mounted and depending on model can be covered or uncovered, lockable or not. 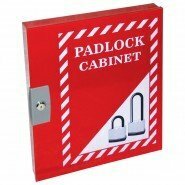 See our full range of Padlock Stations on our dedicated website www.lockoutsafety.com.